We are the Lansing Community College Chapter of the Michigan Association for Higher Education (LCC-MAHE). 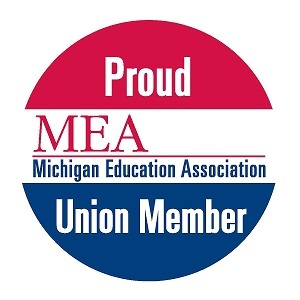 We are the largest local bargaining unit at LCC, affiliated with the Michigan Education Association and the National Education Association. We are dedicated educators and committed to our students and our college. LCC-MAHE represents over 1200 faculty and educational professionals by negotiating fair wages, benefits and working conditions for our members – and we’ve done this proudly for over 50 years! In addition, we advocate for members when disputes arise between faculty and the administration. We are here for you! MAHE members are keenly aware of the central role they play in the lives of our students and the central role LCC has in the cultural and economic health of this community. We are committed to making LCC a better place to teach and to learn. All members are welcome and encouraged to attend the MAHE Senate meetings. Stop by and say hello, bring your concerns and questions, or just visit in a private, quiet location! Wednesday, April 24th 4:30-6:30 p.m.
Thursday, May 2nd 5-7:00 p.m.
Monday, May 13, 2019 7:05 p.m.